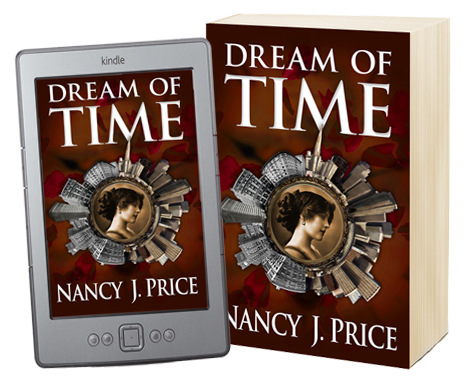 Dream of Time by Nancy J Price (published by Synchronista LLC) — a novel melding history with mystery, and time travel with the timelessness of romance — is now available in ebook and paperback. Each night, when Robin drifts off to sleep, she finds herself dreaming about the life of a woman in the Victorian age. She soon realizes it’s not a dream at all, but she is truly slipping into San Francisco’s past. While living two lives — one as a mom in the modern day, the other as a proper young lady at the turn of the century — she discovers how she’s being sent back to a bygone era is only the first mystery. A much more important question is why she’s there. With the help of a rookie police officer, Robin takes off on a spellbinding adventure, sifting through a century’s worth of clues to untangle the past — and to put love to the test. History, though, proves itself a worthy opponent, and she comes to experience firsthand how destiny can be kind and cruel in the same stroke.